Hardcover, 9.75 x 12 in. / 240 pgs / 175 bw. Texts by Elsy Lahner, Brett Littman. 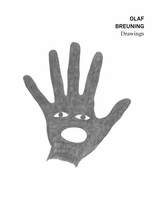 Olaf Breuning: Drawings offers a comprehensive catalog of the drawings of Swiss-born, New York–based artist Olaf Breuning (born 1970) made over the past 20 years. Described by Roberta Smith as “the joking sculptor,” Breuning is known for his videos, sculptures, installations and photo-collages which explore kitsch, cliché and popular culture in deliberately eclectic processes and forms. 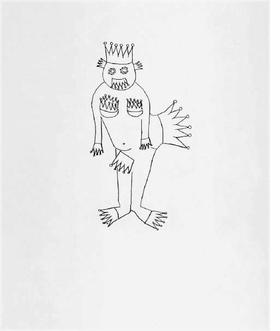 The artist has collaborated with the Public Art Fund, the LUMA Foundation and Art Basel on large public installations in New York, Gstaad and Miami, respectively, but he is also at home with the more intimate scale of the sketchbook page. Breuning’s drawings, presented in this volume accompanied by texts from Elsy Lahner and Brett Littman, represent the artist’s most concentrated engagement with the ideas and concerns that drive his larger practice, and thus offer an intriguing perspective on his work. FORMAT: Hbk, 9.75 x 12 in. / 240 pgs / 175 b&w.